Once a year Goldfish Swim School opens its doors to anyone in the community to stop in for a day of activities that make learning about water safety fun. This FREE event includes lifeguard demonstrations in the pool, a presentation by Bubbles ( the Goldfish Swim School mascot), and swim class instructors providing tips about water safety. Taking place just before summer break from school for most kids begins, this is a great time to think about rules and skills that are important to ensure that everyone in your family is safe during a season that is often full of spending time in and around water. Going to Water Safety Day is always a good time because in addition to the water safety focus of the event it also has a festive carnival atmosphere to it. The school provides lots of entertaining activities and games plus food to enjoy. All at no cost to anyone who attends! Our local Goldfish Swim School parks bounce houses and food trucks in their parking lot for Water Safety Day. Their staff plays games with children who stop by to participate in the event and there is a balloon artist who makes wonderful creations for the kids. Families can even take a dip in the pool while they are at Goldfish Swim School for Water Safety Day. 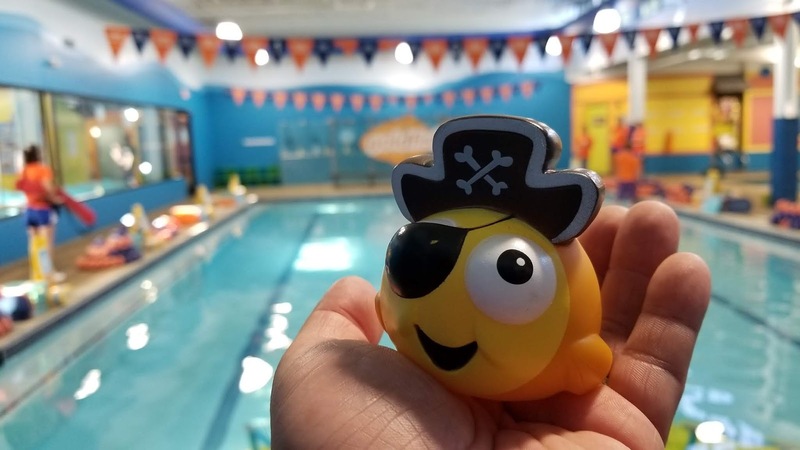 Water Safety Day activities and dates may vary from franchise to franchise so check with your local Goldfish Swim School to find out what they have planned. CLICK HERE to find a Goldfish Swim School location near you. If you aren't a member of Goldfish Swim School this is a great opportunity to check out the facility and meet staff. For those who already attend it is a nice opportunity to have fun with other Goldfish families and interact with your children's swimming instructors. Goldfish Swim School opens up its pool at lunch time on week days throughout the year to its member families. This is a wonderful chance for kids to practice their swimming but also a nice opportunity for a family to have fun playing in the water together. 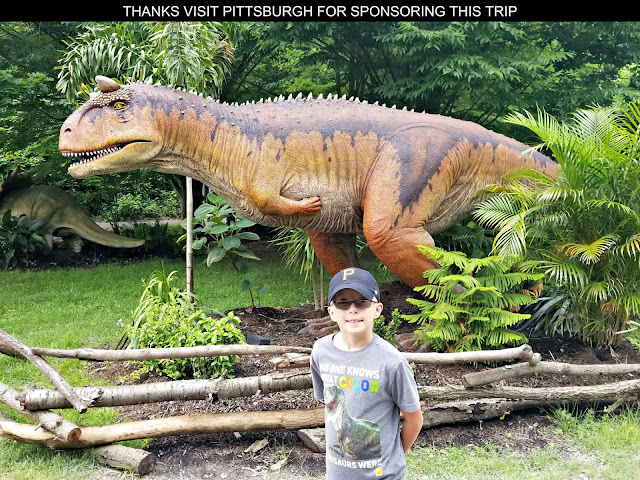 When the kids have days off during the school year or during summer break, we take advantage of this free perk all the time! We've had some great times and memorable moments during Family Swim Time at Goldfish Swim School. 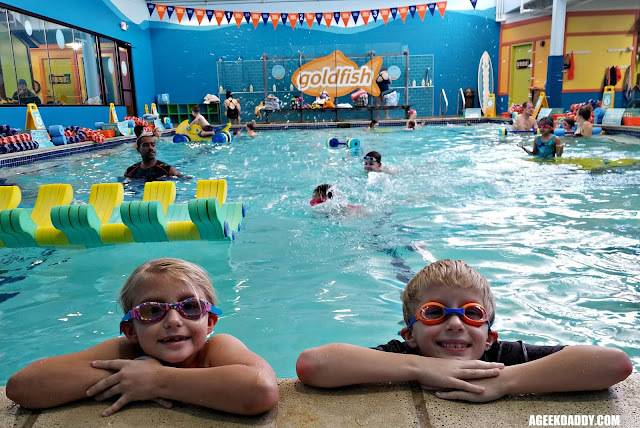 Once a month, Goldfish Swim School hosts a Friday evening where families can come out to enjoy activities, crafts and games as well as swim in the pool. This night of family fun also includes pizza and snacks. Family Night Outs often have a theme to them. 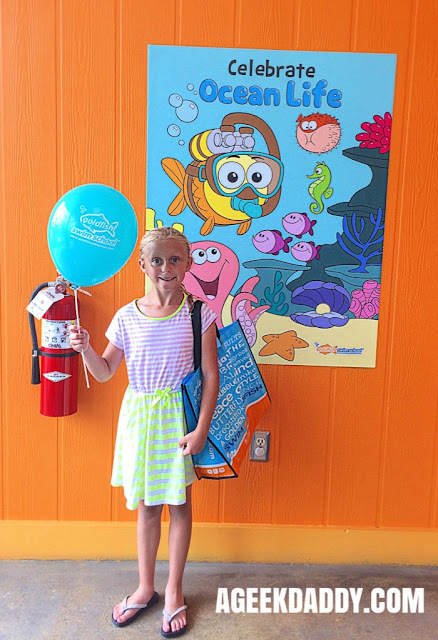 One of our favorite Family Nights Out at Goldfish Swim School involved my kids participating in an Easter Egg hunt and meeting the Easter Bunny. Family Night Out at Goldfish Swim School is always a fun time! 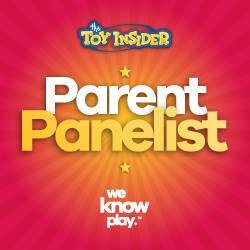 There is a nominal fee to participate which at our location is $5 per person or $15 per family. Check with your local Goldfish Swim School for date and details. Kids can always get a FREE balloon after their swimming class at Goldfish Swim School. My daughter LOVES balloons! A balloon will always put a smile on her face. In addition to balloons, Goldfish Swim School also gives out a unique reward for completing swim classes to kids each week. For example for St. Patrick's Day this year they gave out Leprechaun hats that week. Other weeks prizes may range from a variety of items featuring Bubbles such as coloring pages, sticker sheets and temporary tattoos. A favorite with kids though are the Bubbles bath toys. From pirate to scuba diver each month there is a new toy that Goldfish swimmers can get. Goldfish Swim School provides swimming lessons and water safety instruction for toddlers to twelve year olds. My kids have been swimming at Goldfish for a number of years now. Our family has truly had a golden experience! The kids not only have had a lot of fun but their swimming and water safety skills have gotten to be very impressive. I hate to admit it but they may be better swimmers than me now. Dive in to having your family swim there by heading over to goldfishswimschool.com Tell them ageekdaddy.com sent you! 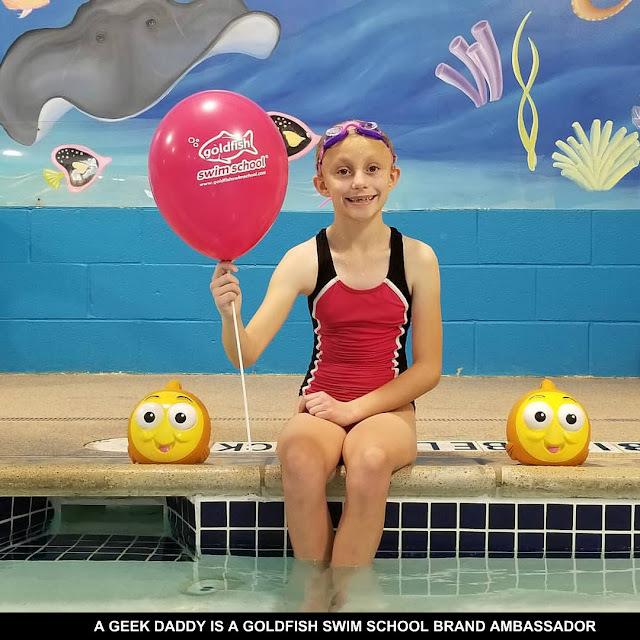 A Geek Daddy receives free products and services from Goldfish Swim School as a brand ambassador. The opinions expressed are honest and my own. 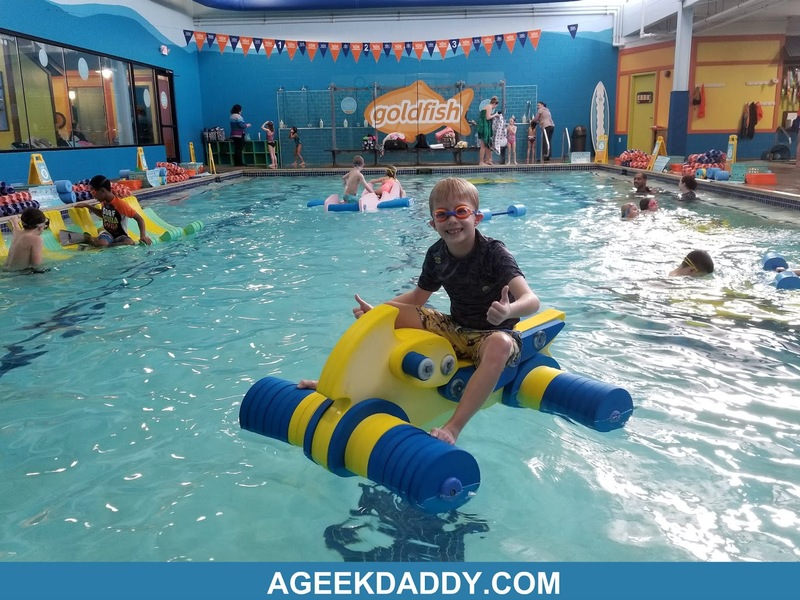 They have absolutely earned ageekdaddy.com nod of approval from my own kids experiences at Goldfish Swim School.